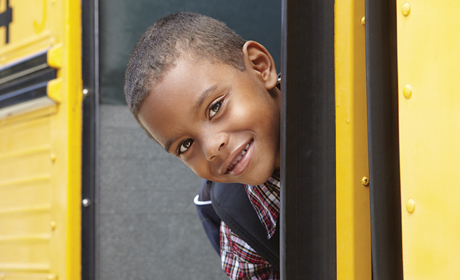 Is your child anxious about school safety? Are you? Here's what you should know. With the start of the new school year, know that local law enforcement and schools have taken extra precautions to keep your kiddos safe. These unseen changes and additions improve the schools' safety measures. The schools do not wish to detail specific safety information so that it doesn't fall into the wrong hands. However, they did have a few new things they wanted to mention. As of February, 2018, MNPS still has in place communication with schools, administration and MNPD. Each school has its exterior doors locked at all times. To enter the school, visitors must enter through a security buzzer equipped with a camera in to the front office during school hours. “MNPS considers the safety of our students our first priority," said says former Public Information Officer Michelle Michaud. For future reference: Lockout: Is when there is a threat in the area that is not school specific but could affect the school in which no one is allowed to transition in or out of the building. In these situations, the Metro Nashville Police Department in partnership with MNPS’s School Security Department, maintain ongoing communication regarding the nature of the incident. Lockdown: This is when there is a threat of any nature that requires that all classrooms and exterior doors remain locked and no student movement as the school implements its crisis response plan. Shelter in place: This is a weather-related response in which students are kept inside the school in safe areas of the building when there is a risk of inclement weather. Student will remain in their shelter in place locations until the danger has passed. NOTE: We have yet to hear back from MNPS on any new updates. We will update the information once received. “First of all, we have a robust partnership with our sheriff’s office, which includes SROs in all schools,” says James Evans, communications coordinator for Rutherford County Schools. “The large high schools have two and our County Commission has allocated funding to hire additional officers that can move to schools as needed. Through this SRO partnership program, our schools hold a variety of drills throughout the school year so our employees and students can practice and be prepared for emergencies. We constantly evaluate these procedures to identify areas needing improvement,” adds Evans. In addition, Evans states that Tennessee Gov. Bill Haslam has included additional funding in the current fiscal year budget that school systems can use for safety improvements. To qualify, school districts must have each school assessed through a Department of Homeland Security evaluation and then use the results of that assessment to apply for funding. “We have completed the evaluation process and hope to announce additional funding from the state soon that will be used for added safety measures in our schools,” says Evans. “Providing safe learning environments for our students is among our top priorities, which is why we dedicate much time and resources to these programs.” The safety of the school children is a top priority with the Rutherford County Sheriff’s School Resource Officers’ Division, too. “Several SROs received specialized training this summer on how to handle active shooting situations,” says Capt. Brad Harrison with Rutherford County Sheriff’s Office. “All SROs will undergo in-service training about active shooting situations before the new school year starts,” he adds. As for Murfreesboro City Schools, you’ll be happy to know that beginning this school year, a School Resource Officer will be full time at each of the city schools. “The officers play an irreplaceable role,” says Lisa L. Trail, director of communications for Murfreesboro City Schools. “Not only do they help provide safety for our students and employees, but they develop very positive relationships with our families, teachers, support staff and most importantly with our students. These officers also teach DARE and GREAT classes throughout the year,” she adds. MCS does not release specific safety measures to the public. However, Trail says they work closely with the Murfreesboro Police Department to ensure the safety of all the students. Sumner County Schools did not respond to our request for updated information on school safety. "Williamson County’s Safety and Security Department was established in 2013 following an assessment of schools by Safe Havens International, Inc. Safe Haven is the world’s leading international non-profit campus safety center," says Communications Director Carol Birdsong. "The Safety and Security Department works with Williamson schools to improve safety. The department develops, establishes and enforces safety and security policies. All Williamson County schools have a School Resource Officer (SRO) in place." Last February, WCS sent out an alert to parents. “School safety is of the utmost importance in Williamson County Schools. While we have comprehensive safety plans in place, Dr. Looney has mandated that all plans be revisited, reviewed and reinforced immediately with all WCS personnel and law enforcement. All WCS faculty and staff as well as the SROs serving our buildings will participate in this review.” NOTE: We have yet to hear back from WCS on any new updates. We will update the information once received. "Nothing has changed, that I’m aware of, with our lockdown drills," says Jennifer Johnson, communications with Wilson County Schools. However, Johnson says the schools now use a new online vendor, Gaggle. This allows them to monitor student communications that occur via their school assigned e-mails. "Basically, it scans anything they send and looks for keywords associated with online bullying, talk of suicide and online threats," adds Johnson. In addition, Johnson says the schools' Safety Director, in conjunction with the Sheriff’s Department, spent the summer conducting security assessments at every school in the district. There's a full-time SRO in each school and two SRO’s in each high school. All new administrators must also complete a one-day training seminar on safety plans and drills. In addition, parents can also report suspicious activity and/or threats directly to the Sheriff’s Department. Lastly, Wilson County Schools has a new Administrative and Training Complex. It also houses a new Emergency Ops Center. "Our Safety Director can pull up cameras from every school in our district on a large screen," adds Johnson. "We have radio communication with all emergency responders. This allows us to provide guidance for them in an emergency. If there's an active shooter, we can pull it up on a camera in real time. We can then assist officers on the ground as they try to gain entry and apprehend the suspect."